There are some projects that are simply hard to describe how awesome they are. The Classic. Typefaces by Particle (Gao Yang) is one of those memorable 3D and typography posts. 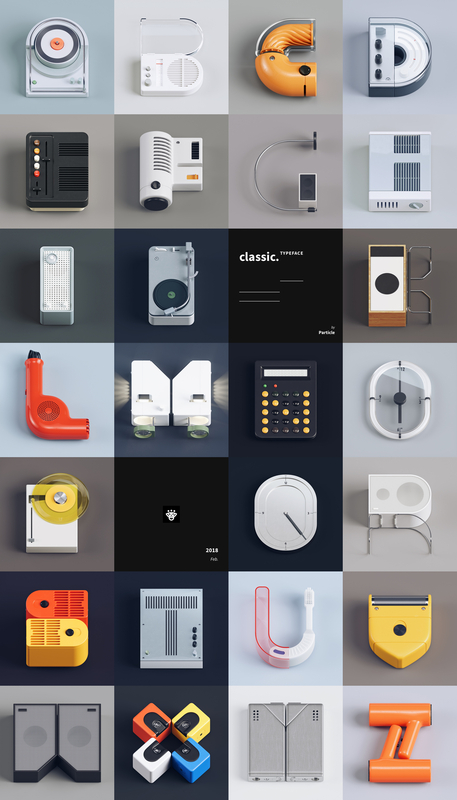 It is simply an alphabet but it’s created by using classic examples of industrial design, quite a few from Braun. The result is quite awesome, from calculator to toothbrush you will find all sorts of familiar objects there. I love the simplicity and how clean it feels. Check out after the break. After modeling some Braun’s products for practice, I’d like to do something more creative, so I designed these letters with this retro, modern and Braun-like style.